Guests arriving on the campus of Lynchburg College in Virginia are greeted first with a view of Hall Campus Center, the building that includes the Office of the President, the Campus Information Center, Security, a 500-seat Memorial Ballroom and several student-centered offices. The prestigious building, constructed in 1923, now has a new DaVinci Valoré Slate roof overhead to help give the structure a new life. Originally built as a gymnasium, Hall Campus Center underwent renovations in 1980, 2000 and 2004. When a violent wind storm damaged the natural slate roof on the building in June of 2012, college officials knew it was time for a different kind of renovation — a new roof overhead. The Villa blend of colors in the selected Valoré Slate product includes both medium and dark gray colors to perfectly complement the exterior of Hall Campus Center and other buildings at the college. Brown and his team have had previous experiences with installing DaVinci products in Virginia. “We’ve installed DaVinci products on both residential and commercial projects in the past, including the Barracks Road Shopping Center in Charlottesville, Va.,” says Brown. 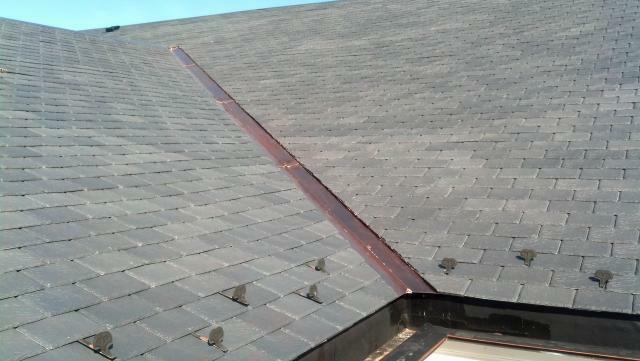 “The product is easy to install, looks terrific and is a top-quality substitute for natural slate. 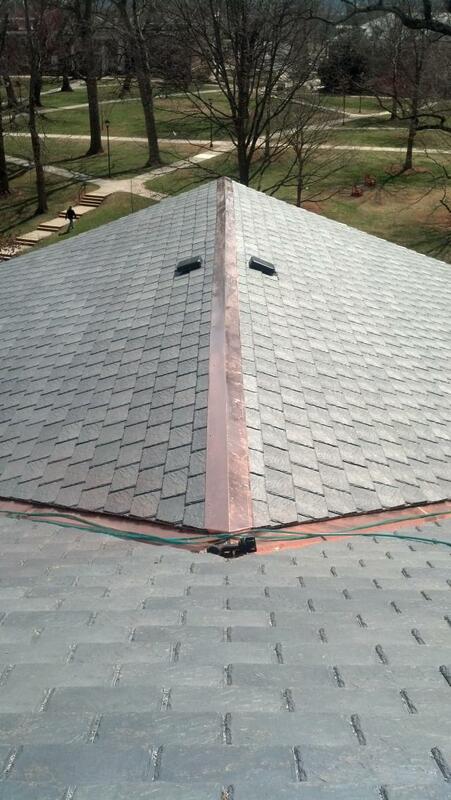 For another story on DaVinci polymer roofs on a college, visit New Polymer Roofs at The College of New Jersey.